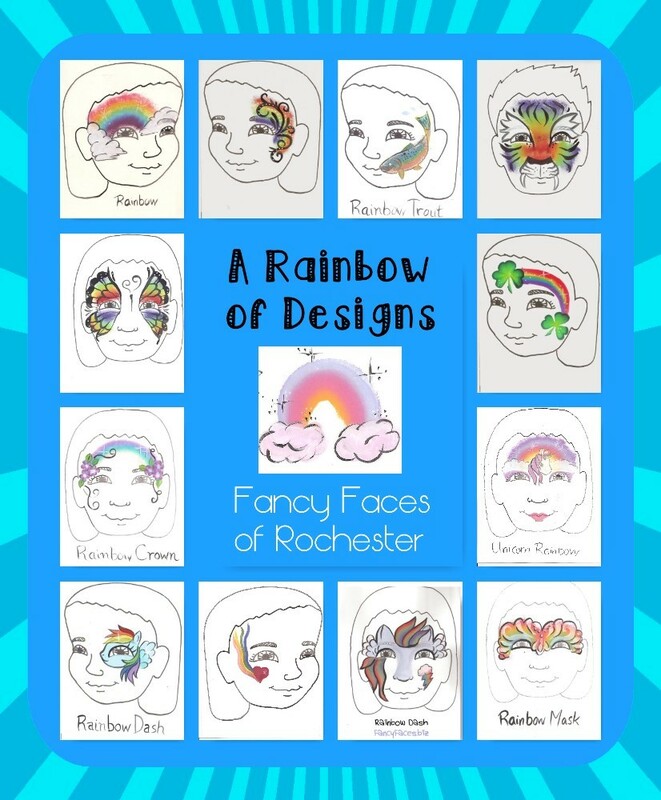 Fancy Faces of Rochester: Rainbows, Rainbows, Everywhere! There are so many different ways you can paint a rainbow! I love it when someone has a Rainbow Party! Here are the designs that can be featured at your Rainbow Party! They also work great for a St. Patrick's Day event. 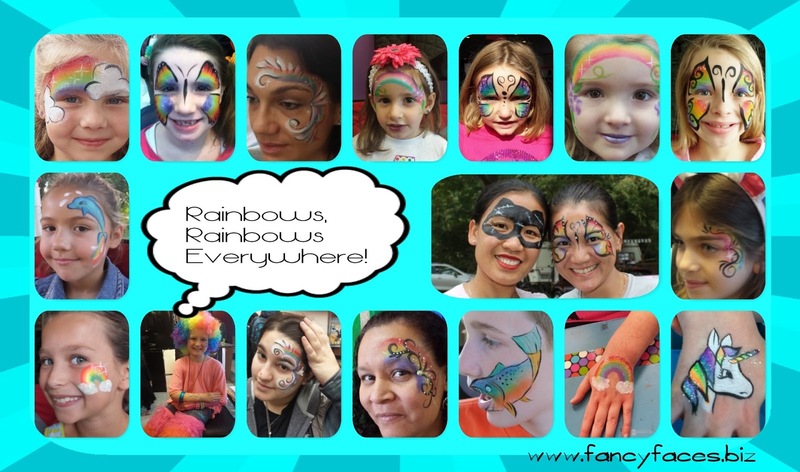 To inquire about Fancy Faces painting at your event, please go to this link. 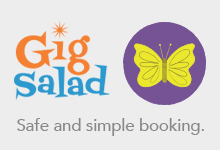 Here are some more resources for your rainbow party!